The difference between other pongal recipe and this pongal recipe is that, unlike others we mix all the ingredients with the rice and dal mixture at the initia stage itself. This procedure makes the pongal more flavourful. 2. Dry roast the rice for just 2-3 mins or till it get really hot. But take care to avoid the rice pop out. 3. Allow them to cool down and mix them together. Wash and soak it in 2 cups of water for 15 mins. 4. Dry roast pepper and cumin seeds together till the aroma comes out. 5. 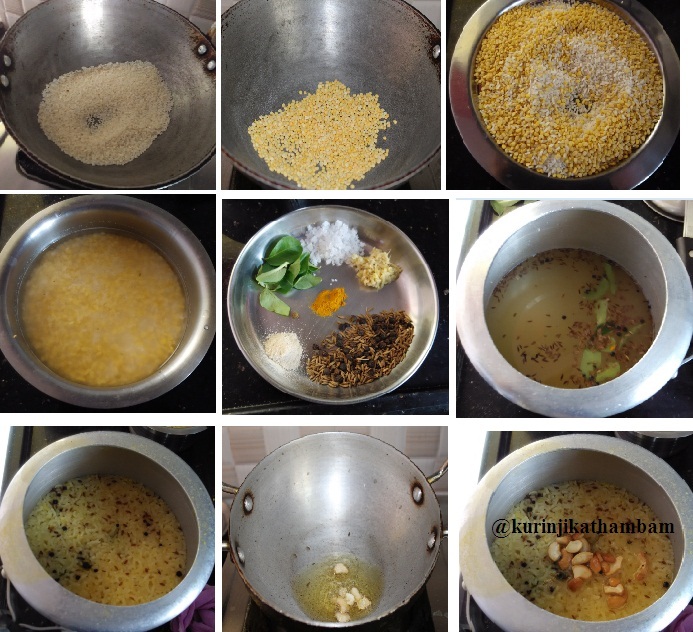 In a pressure cooker, add the rice and moon dal mixture with soaked water. 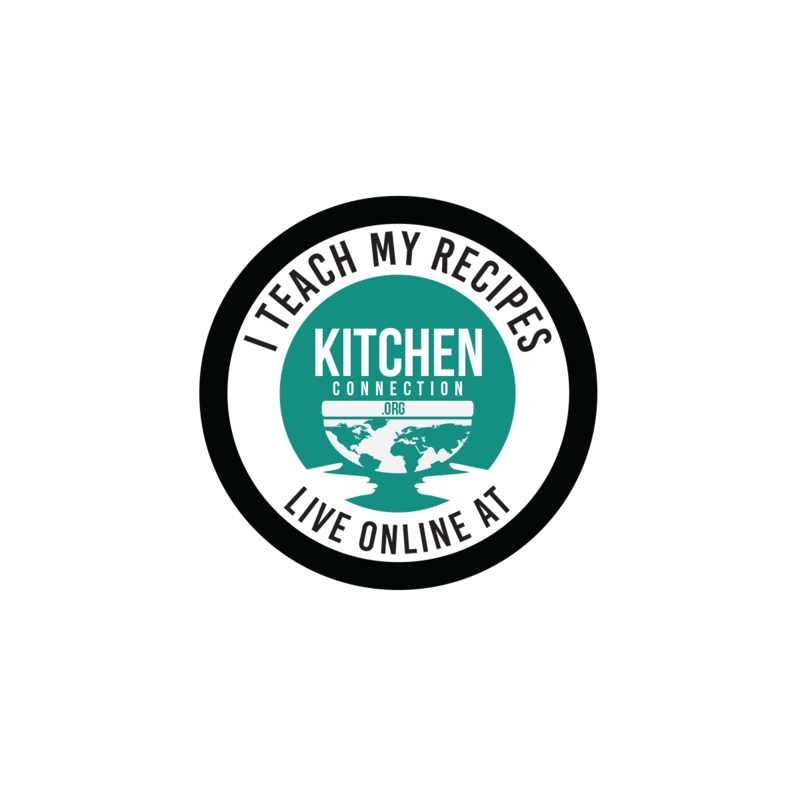 Then add the roasted pepper and cumin seeds, curry leaves, grated ginger, salt , turmeric powder, hing and 2 ½ cups of water. Mix them well. 6. Pressure cook for 1 whistle in high flame and keep the flame in simmer and cook for 7 more mins. 7. Heat the pan, add ghee and fry the cashew nuts till they become golden color. 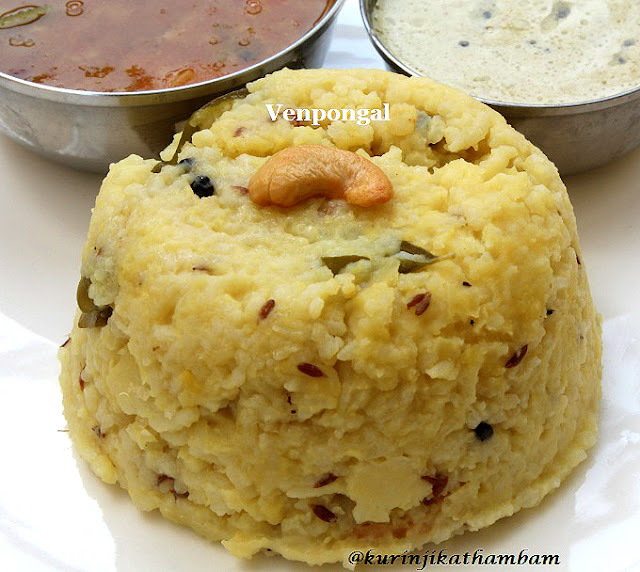 Yummy and tasty ven pongal is ready to eat. Serve it with coconut chutney and sambar. 1. You can use the rice and dal soaked water also. 2. You should not keep the pongal in the cooker itself. Because the pongal will become thick soon. 3. Adding turmeric powder is optional.